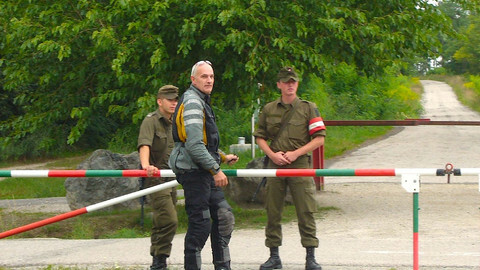 With the cost of flights and hotels paid by hosts Frontex, the EU border agency, the 800 delegates relaxed for what has become an annual event in their calendars, the European Day for Border Guards. As the name suggests, it was a one-day affair and featured speeches from high-ranking officials, important policy debates, films, exhibition stalls, dog handling displays and an impressive performance by the marching Polish Border Guard Representative Orchestra. At 7.30pm, according to the published timetable of events, the border guards and other officials reconvened for their annual dinner and party, scheduled to run until 2am. Behind the drinks and the celebrations, there was a clear sense of the escalating crisis – and of the role Frontex should play. Held a month after an estimated 700 refugees drowned off the coast of Libya, and at a cost of €350,000, the day’s debates centred on how Europe should tackle the migration crisis and its implications, both for the border-free Schengen area 30 years after it was agreed, and for Frontex itself in its tenth-anniversary year. But like the rousing music from the Polish marching band, Frontex is arguably more for show than substance – a microcosm of everything that is hampering a pan-European response to the current crisis. And as EU border management faces its biggest challenge in 20 years – with hundreds of thousands of refugees pouring into Greece, Germany, Italy and Hungary – Frontex is being thrust into the front line of European emergency talks and planning. Last week, European Commission president Jean-Claude Juncker announced grand plans for the organisation as part of a proposed shake-up of the EU’s fragmented and dysfunctional asylum and immigration policies. We have examined its €143m a year accounts and other open source material such as contracts, tenders, speeches, technical reports, as well as interviewing senior officials, politicians and analysts. Our findings raise deep-rooted concerns about Frontex’s remit and whether – even with a wider role and larger budget – it will ever be able to provide a powerful pan-European response. We have found an organisation with clear successes (some 173,500 lives were saved last year), and one which is clear about what its role should be. But behind the gloss and the show, Frontex actually has little power and struggles to operate in the straitjacket imposed by the collective failure of member states and Brussels to fully commit and cooperate with it – despite the current crisis. Our investigation has also uncovered official warnings about the way the agency oversees the return of illegal migrants. And even its intelligence-gathering role is hampered by a lack of member states’ action. Frontex risk analysis during the past three years correctly predicted a surge of refugee numbers streaming through the central Mediterranean, Greece and Hungary. The trouble is Europe did not act on its findings. The consequences of these EU-wide failures has been to create an environment in which thousands of people have drowned at sea and where smugglers have made fortunes from refugees fleeing war. 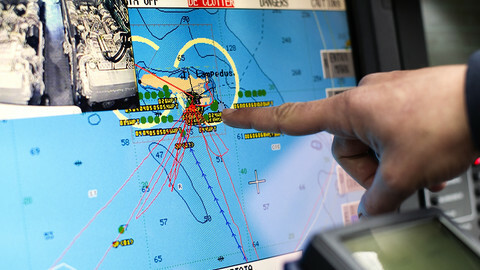 Frontex’s limitations came into focus a month before the annual party. Perhaps because it is described as Europe’s border agency, many perceive Frontex to be an overarching institution exercising supranational powers. But the reality is that under its current remit, it is restricted to acting as a coordinating agency. It does not generally own heavy assets. For its border operations, it has to borrow people and equipment, such as vessels and patrol cars, from other countries using its budget to reimburse the member states. In April, EU leaders agreed to increase its budget by €26.8m to intensify the search and rescue of refugees approaching Europe’s external borders. The Bureau has discovered that five months later, despite the crisis, some of that money may have to be returned to Brussels because member states have not provided enough equipment and border guards. The emergency grant was signed-off by EU heads of state at a high-level summit in what was portrayed as Europe uniting in its response to mass tragedies in the Mediterranean. Such was the subsequent lack of cooperation from member states, Frontex was forced to ask EU Migration, Home Affairs and Citizenship Commissioner Dimitris Avramopoulos to intervene. Last month, Avramopoulos wrote to all 28 interior ministers urging them to help. It is along those land borders that analysts now predict a new surge in migrant numbers. 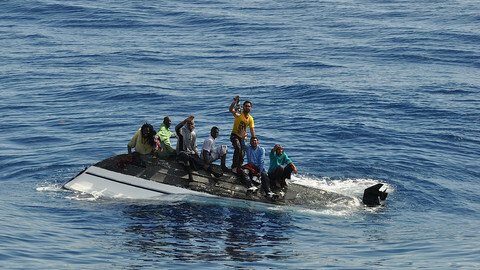 However, offers of key personnel and equipment from member states “are still very scarce”, said a Frontex spokeswoman. Frontex’s deputy director Gil Arias-Fernández told the Bureau that having the money was “useless” if it did not have the equipment to spend it on. “This is a pity and it might imply that by the end of the year if we do not gather enough resources we will have to send the money back to Brussels,” he said. Even before this summer’s build-up of refugees, there were already clear signs that member states were not releasing resources to the agency. In April, a Frontex report published the results of annual negotiations it has with member states over border staff and equipment. The report shows shortages of Frontex-requested border staff ranging from 4% to 20% in various roles including first line officers and interview experts. The cumbersome manner in which Frontex has to negotiate and persuade countries to lend equipment many months in advance has had an impact on operations during the summer’s crises. The inflexibility causes Frontex difficulties ensuring continuity in its emergency operations: member states have been lending equipment for only single months at a time. It means Frontex is often scrambling around for new resources from around Europe every month. 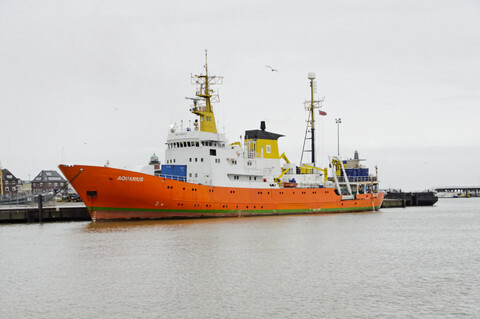 So much so that Frontex relies in part on Iceland, a non-EU country which the agency says has lent more than a third of its entire coast guard fleet to help in Greece and Italy. Norway, another non-EU country, has been similarly co-operative. The UK lent one major asset to Frontex this summer: HMS Bulwark saved 3,000 lives off Italy during May and June. But Labour MEP Claude Moraes, the influential chairman of the European parliament’s civil liberties, justice and home affairs committee, to which Frontex reports, described member states’ failure to provide the agency with the necessary resources at this “critical moment” as “scandalous”. A Frontex spokeswoman said: “Each member state has the sufficient capacity to handle border control, but when the migratory pressure becomes exceptionally high, they might require additional assistance of either technical equipment or specialised border guards. The Bureau has also learned that despite more than two million refugees amassing in Turkey and planning their dangerous trips across the borders, Frontex has not had a single member of staff based there gathering intelligence about smugglers. A “liaison officer” post was signed off by Brussels 18 months ago, but Frontex has only just advertised the job. Frontex, in part hampered by EU rules requiring it to cut headcount elsewhere, said it did not have the budget until only recently. The liaison officer job ad states an annual salary of €42,588. 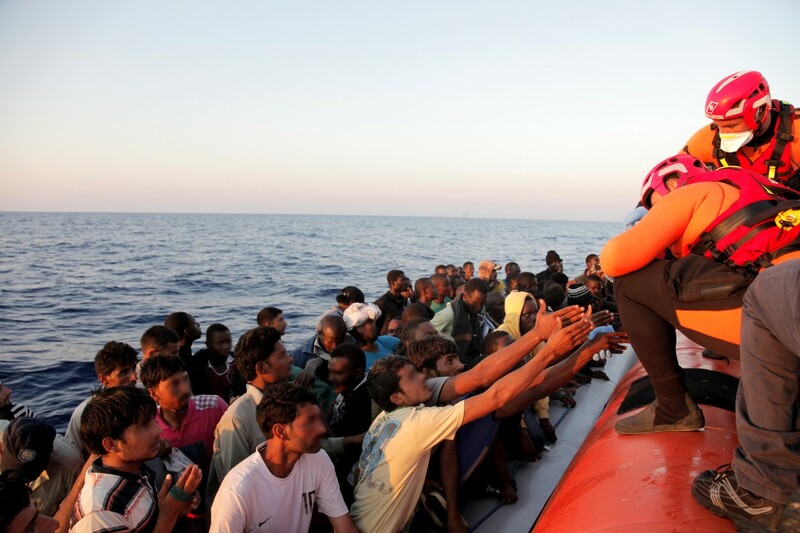 Part of the problem is that Frontex was not constituted to deal with a mass surge of migrants. It was created in relatively calmer geopolitical waters, several years before the Arab Spring of 2011. To Giorgos Stathakis, who until three weeks ago was Greece’s Minister of Economy, Infrastructure, Shipping and Tourism, Frontex’s current structure and legal mandate renders it unfit to deal with the crisis affecting his country: “There isn’t much Frontex can do,” he told the Bureau. “It’s not about illegal migrants. It’s about a different kind of migration. We are dealing with a vast number of war refugees." “Frontex’s problem is that they were designed to protect from illegal migration. That is a different profile from what we’re seeing." Arguably, Frontex is also a convenient smokescreen for political inaction on migration by member states: the existence of the agency gives the appearance of collective operations without the resources and remit to be meaningful. In fairness, Frontex’s former director recognised the constraints for several years. A Frontex document unearthed by the Bureau from 2010 celebrating the agency’s fifth anniversary contains "a question and answer" session with its then director, Ilkka Laitinen, a Finnish general who left his post last year but who still sits on its management board. Asked “how important is a common immigration policy for the EU”, he replied: “Very important. I see no alternative, because we have Schengen, we don’t have internal border controls in place. “The playing field is open. We cannot simply take the national approach to this. And in a remark that speaks to the current European refugee crisis response, Laitinen stated: “We have had to cancel some maritime operations because there was no solution about what to do with people who have been picked up or rescued. The expansion and evolution of Frontex’s remit has been mirrored by budget increases. In its first full year of operations [in 2005] it had a budget of €19m and that has grown to €143m in 2015, a rise of 46% on 2014. Greece was compensated €28.6m in the period, while Iceland, which currently provides two large coast guard ships and crew and one aircraft, was reimbursed €21.8m over the seven-year period. Part of Frontex’s problems over the past 10 years has been a reliance on member states for equipment, but among the more recent tender documents seen by the Bureau, one contract suggests a change in direction. Issued on April 11, it is a four-year deal to provide aerial surveillance services assets and expert support”. Open to private companies, the tender is worth €10m. The tender document states the objective is to “enhance surveillance operational capability in areas of the EU external border”. The aircraft to be used could include drones and the winning bid has not yet been announced. It would add to Frontex’s surveillance capabilities, the centrepiece of which is Eurosur, which uses satellite and other systems to gather intelligence about illegal activity at the borders. The new aircraft contract would mean Frontex more in control of its own assets. Roderick Parkes, an EU expert at the Swedish Institute of International Affairs, has studied Frontex in depth. He said the organisation is staffed with excellent strategic thinkers but it has become a political football. Countries in the north, he argues, use it to ensure southern states adopt their border control standards. Southern countries see it as both an agent of control and a cash cow. One of Frontex’s principal roles is helping countries organise the return of failed asylum seekers, overseas prisoners and people whose visas have expired back to their country of origin. 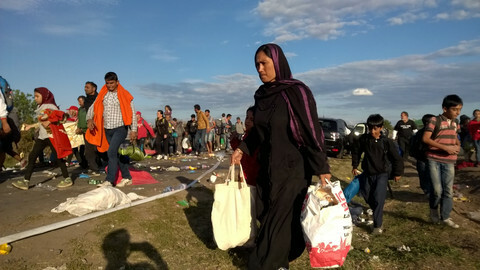 Since 2006, it has arranged the return of more than 15,500 people in 302 separate missions from European member states. Although this is only a small fraction of the 1.3 million removed from Europe by individual countries since 2008, Frontex’s involvement is now almost certain to increase. In May, the Commission published its Agenda on Migration. This suggested Frontex’s role returning failed asylum seekers and migrants will be strengthened depending on the outcome of an ongoing evaluation into the organisation. The Commission proposal marks a significant change of emphasis. No longer will Frontex support member states returning migrants. Rather it will take the lead. But how Frontex currently organises the return of refugees and migrants worries MEPs and human rights campaigners. Emily O’Reilly, the EU Ombudsman, told the Bureau that Frontex has “significant room for improvement” in its forced return operations. In a report filed in Brussels four months ago, she found not enough was done to ensure pregnant women and children were separated from potentially volatile adult returnees, as well as the absence of independent monitors on a large number of joint operations it organises. 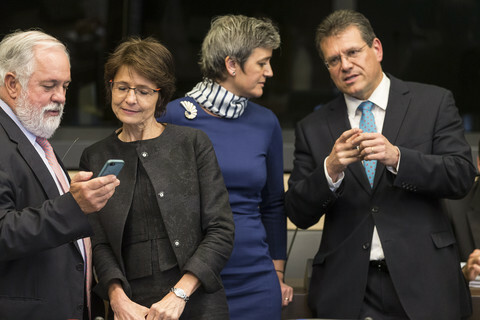 O’Reilly’s report prompted a closed-door session at the European Parliament building in June in which Frontex director, Fabrice Leggeri was grilled about the issue. Last year Frontex co-ordinated 45 returns on which 2,279 migrants were deported costing a total of €7m. Deportation is often extremely tense. Immigration centres regularly experience volatile activity but human rights abuses are often kept under wraps. Joint return adds a layer of complexity to operations as they involve multiple countries where human rights standards may vary. But the EU Ombudsman found that 40% of all joint returns have no independent observer monitoring them. The Ombudsman also castigated Frontex for having no complaints mechanism for returnees to access. Speaking to the Bureau, O’Reilly said that Frontex needs to ensure that “in any intensification of return operations, it is important that we maintain EU fundamental rights standards”. O’Reilly conceded the agency “has done a lot to date to train national escorts and to comply with existing human rights standards” but it requires “significant room for improvement”. In its response to the EU Ombudsman, Frontex maintained that in the nine years it has been returning migrants it has never received one complaint. “Frontex is fully committed to ensuring that highest standards are respected in joint return operations,” its spokeswoman said. She added that guidance in this area is currently being revised in consultation with a wide number of human rights group and EU member states. Details of what new powers the Commission is lining up for Frontex are sketchy. Last week, the agency referred our inquiries on this matter to Juncker’s office which declined to comment beyond saying firm proposals are expected by the end of the year. But the Bureau has discovered that an external evaluation into Frontex undertaken by Danish firm, Rambøll Management Consulting is scheduled to be published next month and should provide clues to the organisation’s future. 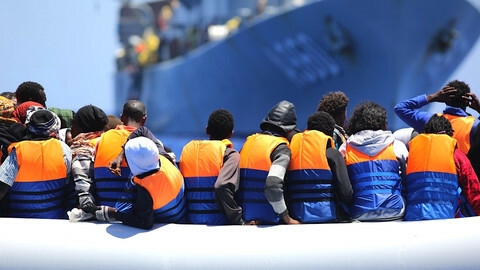 It is widely expected that Frontex will be given the legal mandate to co-ordinate search and rescue missions in the Mediterranean and play a far more active role by initiating the return of migrants and failed asylum seekers. It is also highly likely Frontex’s budget will be further increased having been given two separate increases in the past nine months. Speculation will also centre on whether the agency will be allowed to directly employ its own border staff and control its own boats, planes and motor vehicles instead of effectively begging member states to lend it resources. 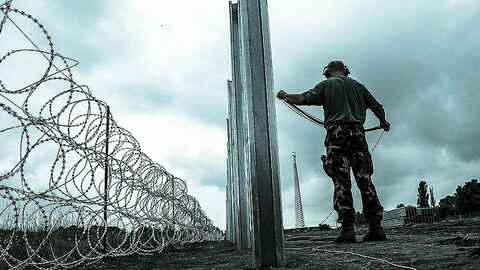 In June last year, the Home Affairs directorate of the European Commission published a “study on the feasibility of the creation of a European System of Border Guards to control the external borders of the Union”. The report was the result of extensive consultations with Frontex, the European Parliament and members states and highlighted the different goals among them. It recommended a phased approach to giving the EU full powers over borders, particularly at “hotspots”, over the longer term. But the authors also reported resistance. The report said: “Whereas both Frontex and members of the European Parliament advocated for a more integrated border management of external Schengen borders with more powers acquired at EU level, Member States were supporting a more careful approach. “In their view, Frontex should perform the supportive and coordination role in joint return operations, training activities and negotiation of readmission agreements. At next May’s European Day for Border Guards, it is certain delegates, their experience shaped by the events of 2015, will have firmer ideas on how Frontex should look for the next 10 years. But whether the latest crisis is enough to make the necessary fundamental shift in thinking at member state level when they already baulk at merely lending equipment is now very much a key question. The EU's border agency said on Tuesday that 710,000 people were detected crossing into the EU in the first nine months of this year, but failed to disclose that it double counts.